It doesn’t matter whether you call them future skills, power skills, or foundational skills. Each of these labels has been applied to the most in-demand skills in today’s labor market. These in-demand skills include a range of talents and abilities, but it’s not enough for a person to be good at just communication, computers or creativity. Today, there is a need for employees to have skills from each the skill-sets those traits represent. Examples of human skills are critical thinking, creativity, communication. People who possess these skills also have collaboration and relationship building abilities. Digital building block skills are more technical, such as analyzing data, managing data and software programming. These skills are also in demand outside of technology jobs in areas such as digital security and privacy. Business enabler skills, the report says, let the other skills work together in business tasks. These include project management, digital design and communicating data. For current employees and for job seekers it is important to have skills to work with new technologies. Technical skills are important beyond the skills needed to develop new technology. Technical skills include being able to apply technology, for example to inform decisions and carry out businesses strategy. 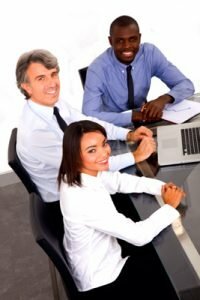 In a Career Advisory Board survey 69 percent of respondents said “the presence of applied technology skills and experience is a competitive differentiator.” For higher level positions it’s even more important; 76 percent of managers who hire senior-level employees agreed with the statement. These in-demand skills mean that both employees and employers are faced with challenges to have a skilled workforce. There are strategies that each can implement. Employers can offer talent development through their tuition assistance programs. They have a source of talent within their own workforce that can develop in-demand skills today. If they communicate their needs for skills across all levels of their company, they will be able to find and develop talent among their employees. Developing individualized learning plans for employees will also help fill future in-demand skills. Employees can develop a plan to be a life-long learner, and they can seek opportunities available through their employer’s TAP. When they recognize skill gaps in their knowledge and work experience they can further their education to acquire in-demand skills. As they gain work experience and continue their education, employees can move into positions to fill skill gaps in their company.